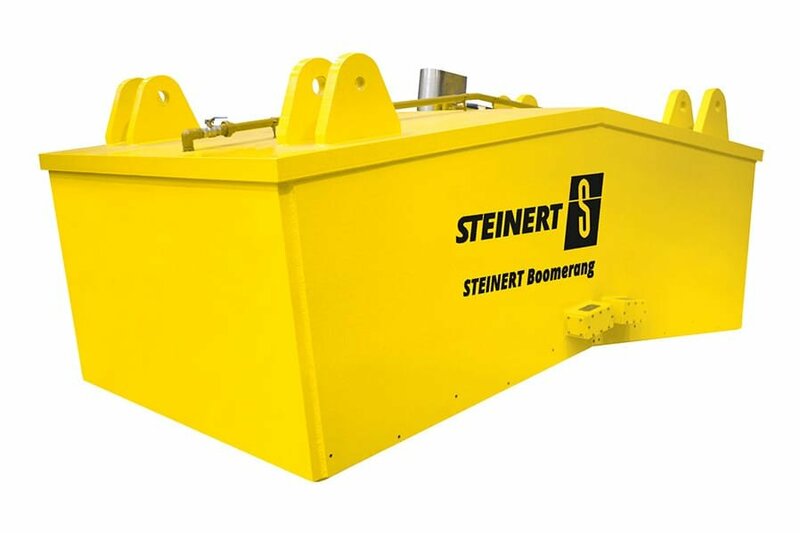 The main purpose for using our manual overhead suspension magnets is the reliable separation of ferrous impurities to protect your machinery. Manual overhead suspension magnets represent a cost-effective alternative to our self-cleaning overhead suspension magnets. They are positioned above the supply flow and extract ferromagnetic parts against the force of gravity. These magnetic separators are to be swung away from the supply area when the underside of the magnet is full. Ferrous parts are then removed manually from permanent magnetic systems, whereby the electromagnetic systems are switched off briefly to allow the ferrous parts to fall. The systems are returned to their starting position after the removal process and the sorting cycle recommences. Our manual overhead suspension magnets are particularly suitable for use with low iron volumes yet coarse parts, such as in the extraction of tramp iron parts or impurities that occur only occasionally. As opposed to our self-cleaning overhead suspension magnets, manual overhead suspension magnets do not have a circulating belt to ensure removal of the attracted ferrous parts. A self-cleaning system should therefore be used if there is an increased iron content in the supply flow. 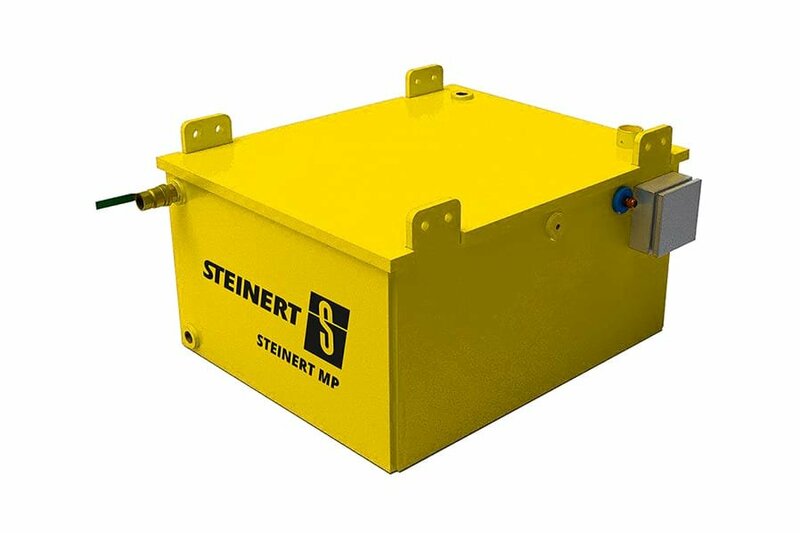 You are certain to find the right solution at STEINERT for a wide range of requirements and even for extreme deployment conditions. 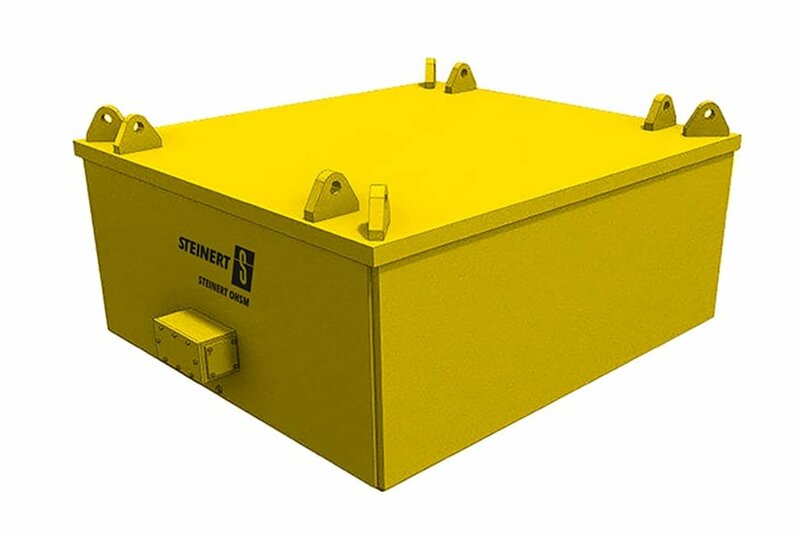 Our manual overhead suspension magnets are available as permanently magnetic versions or as electromagnets, which can be actively or passively oil cooled. A wide range of sizes with working widths from 60 cm to 300 cm also rounds off our portfolio. The combination with an inductive sensor is in principle also feasible, so that the electromagnets are only switched on when there really is a ferrous part within the supply flow. 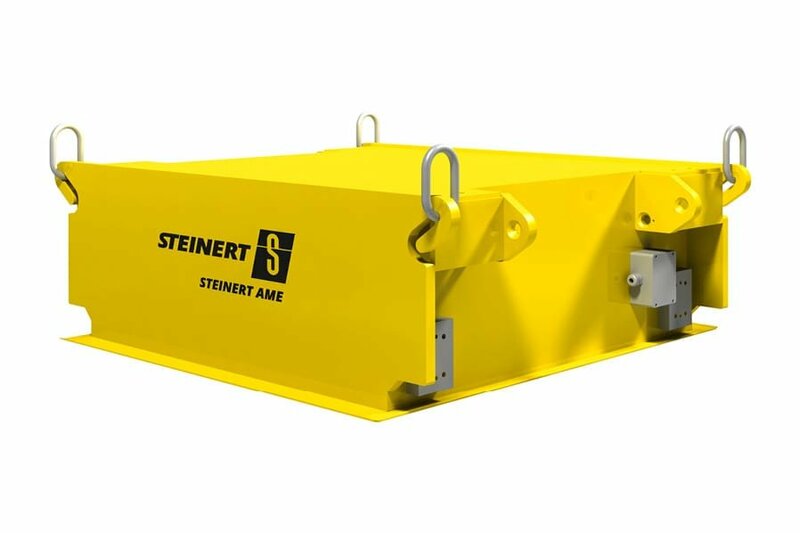 This allows the performance of the magnetic separator to be further enhanced. 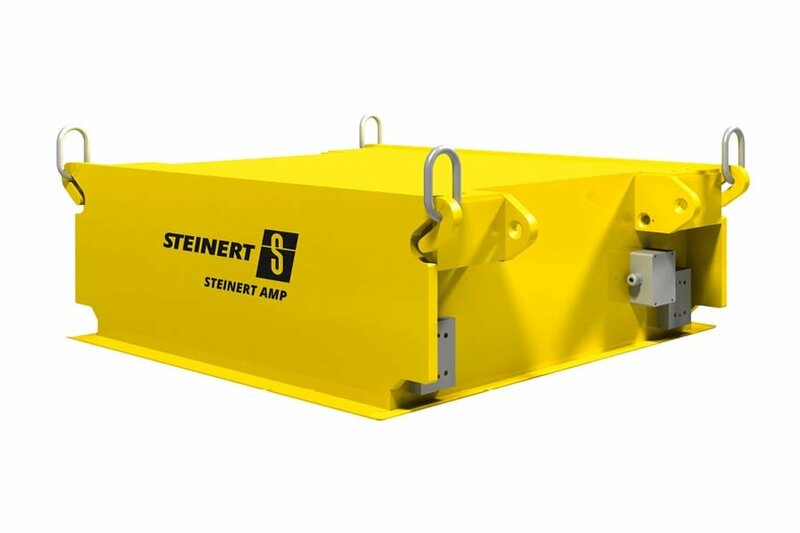 We are happy to advise you on the various models and options for our manual overhead suspension magnets. Please do not hesitate to contact us!